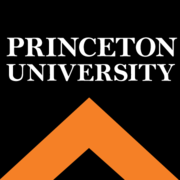 Princeton University is a private research university located in Princeton, New Jersey, United States. It is one of the eight universities of the Ivy League, and one of the nine Colonial Colleges founded before the American Revolution. Computer Science: Programming with a Purpose via Coursera 10-20 hours a week , 10 weeks long 10-20 hours a week , 10 weeks long 29th Apr, 2019 No reviews yet. Computer Science: Algorithms, Theory, and Machines via Coursera 2-5 hours a week , 10 weeks long 2-5 hours a week , 10 weeks long 29th Apr, 2019 No reviews yet. Writing Case Studies: Science of Delivery via edX 3-5 hours a week , 6 weeks long 3-5 hours a week , 6 weeks long Self paced No reviews yet. 18th Apr, 2019 No reviews yet. 8th Feb, 2013 No reviews yet. 29th Mar, 2013 No reviews yet.